We offer Premium Quality of Refined and Unrefined Crushed Sea Salt. Our Crushed Sea Salt caters to the requirements of various industries such as food processing industry, chemical industry and many others. We also provide Crushed salt which is of very good quality. We can give it to you in your desired packages. It is soft and powder form variety. Due to its high purity levels, it is extremely suitable for the Chlor-Alkali Industry. In the edible category it has virtually monopolised its usage in the manufacture of rosted snacks like pistachoice, cashew, almond, grains, and all typen of sanckes and etc. This salt fastly disolve in water. 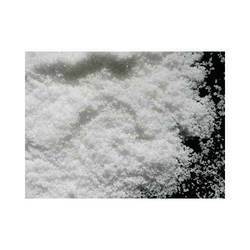 We offer an assortment of Fine Powder Salt that is manufactured using high grade raw materials. These are well known for its quality and are widely used in various industries. We are offering Crushed Salt to our clients. 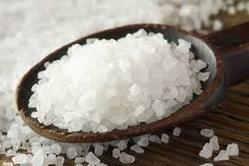 Salt is a dietary mineral composed primarily of sodium chloride that is essential for animal life, but can be toxic to many land plants. Salt flavor is one of the basic tastes, making salt the oldest, most ubiquitous food seasoning. Salt is also an important preservative. Our company holds immense experience in this domain and is involved in offering Crushed Salt. We are assisted by a crew of experienced personnel who are enormously indulged in bringing forth a broad gamut of Crushed Salt. Crushed powder salt for cattle feed & leather industries. The testing of the item is rigorous to include some of the best pH value verification. We have a comprehensive manufacturing and supply mechanism for Crushed Salt. Refined extensively from multiple procedures of evaporation and centrifuging we provide reliable packaging with cosmetic content to the outlook.